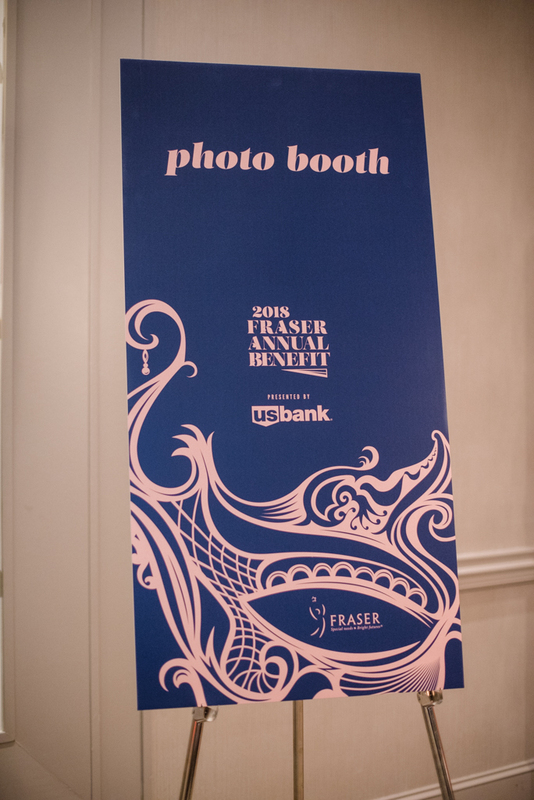 This October, we took part in the Fraser Annual Benefit at Hilton Minneapolis. The event was hosted by U.S Bank to raise money to make a difference in the lives of families with children and adults with special needs, and it was an honor for us to be included. We were pleased to provide a photo booth rental for this wonderful event! This year, the event featured a Venetian masquerade theme with lavish flairs and dramatic decorations. We had two photo booth stands available, one in the VIP area and the other in a pre-function area. The fabulous backdrops for both booths were fit for a gala. 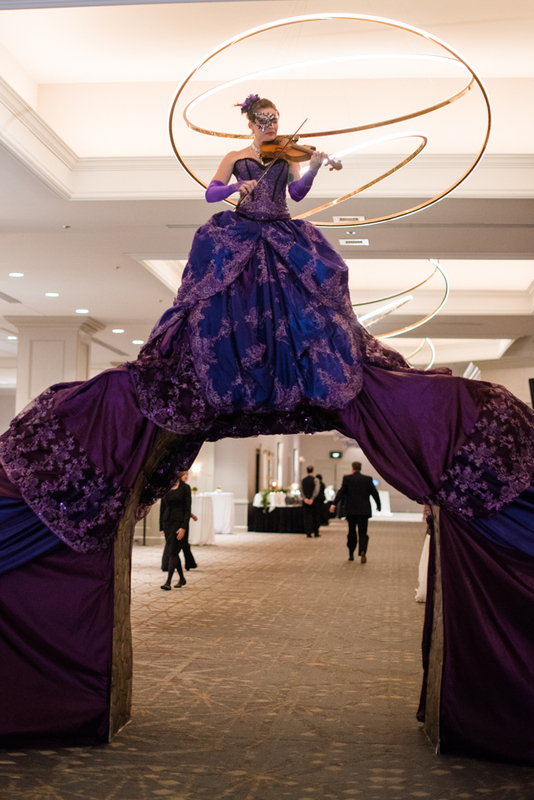 The guests entered to be greeted by a violinist situated above an arch they could walk beneath. 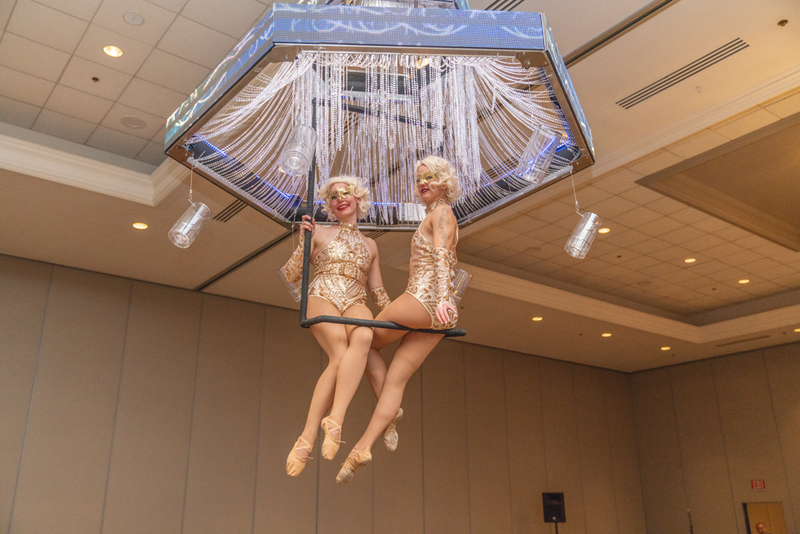 Enticing Entertainment entertained the guests and served champagne from a chandelier. 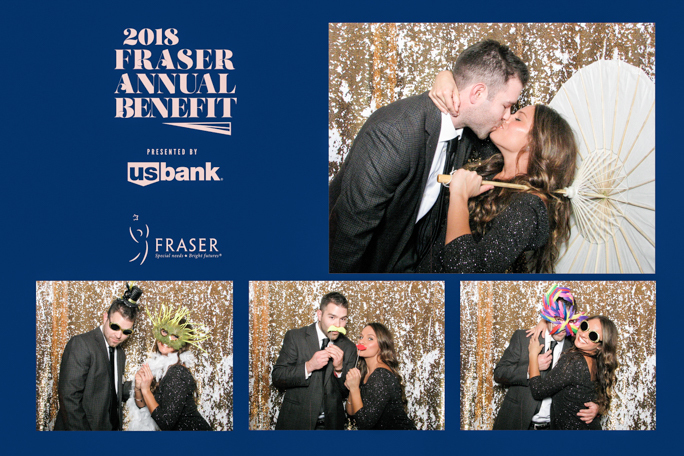 The benefit was a massive success as well and raised over $600,000 for life-changing Fraser services for children, adults, and caregivers of people with special needs. The beautiful decorations and entertainment made the night feel like a fabulous party and everyone was dressed in their best for the night out. Our photo booths gave them a chance to keep the memory of how good they looked and all the fun they had throughout the night. 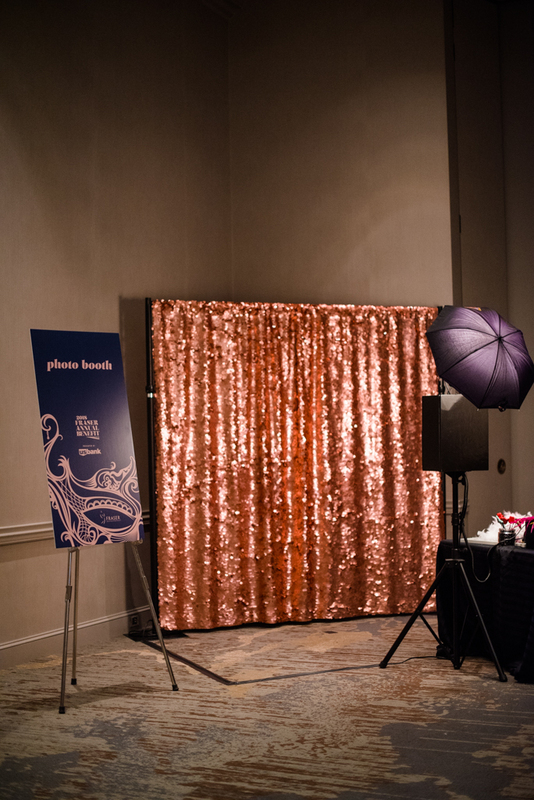 The client decided on our beautiful rose gold photo booth backdrop for the VIP area, and the white mermaid backdrop for the pre-function area. 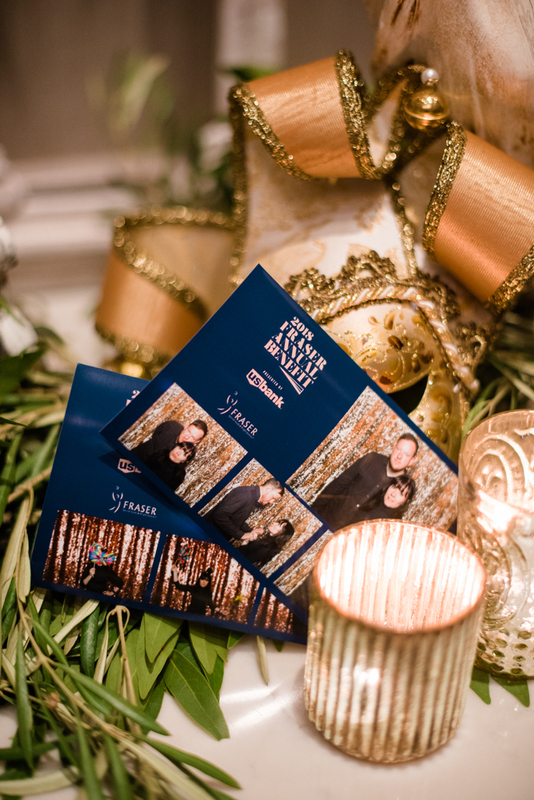 The guests were able to receive a 4×6 print of their session in our photo booth stand, as well as immediately receive their digital images by email. 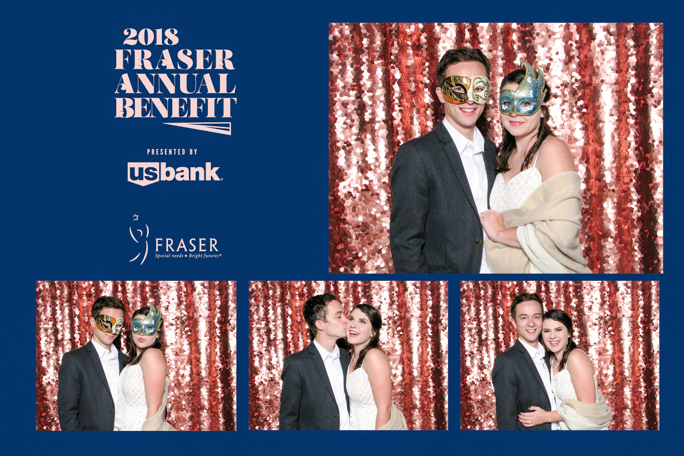 Both booths were a huge success during the event and we had lines in both areas throughout the night, and they prove that our photo booths aren’t just for weddings or informal parties. They can also be a classy addition to a formal event where entertainment and fun are important and appropriate. 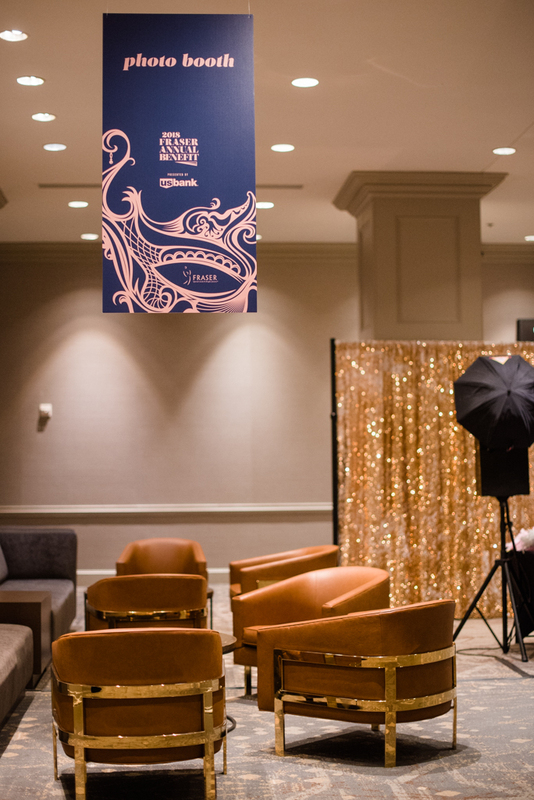 For more information or any questions about how you can include a photo booth at your next event, visit our website today.